Home / Currency / VIDEOS / Wiz Khalifa / Video: Wiz Khalifa x Curren$y Feat. Problem "Getting Loose"
Video: Wiz Khalifa x Curren$y Feat. Problem "Getting Loose"
At this rate Curren$y and Wiz Khalifa are going to end up releasing videos for every track on their joint album 2009. Following a video for "Garage Talk" earlier this month. The stoner-duo return with a video for one of the hardest tracks on the LP "Gettimg Loose" featuring Problem. 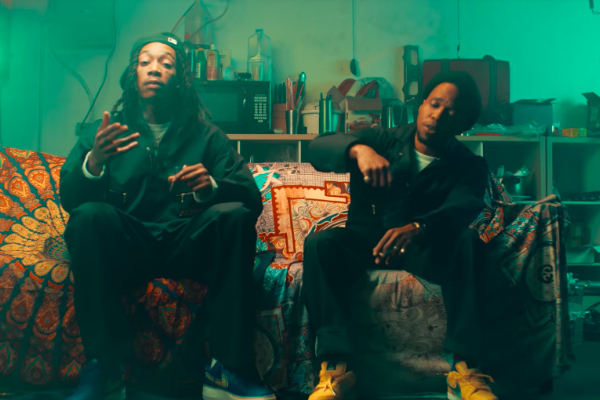 Directed by Yasha, Spitta and Wiz take a break from their jobs as mechanics to host a wild party with lots of beautiful women, drinks and of course weed.